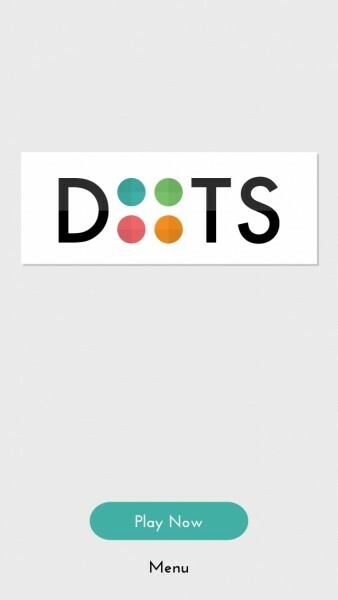 Dots: A Game About Connecting (Free) by Betaworks One is an addictive puzzle game that has you connecting the dots. How many dots can you collect? I’ve seen tweets about this game quite a bit over the last week or so, and I wondered what the big deal was. So I decided to give the game a try to see what the fuss was all about, and I must say, this is one of my new addictions. 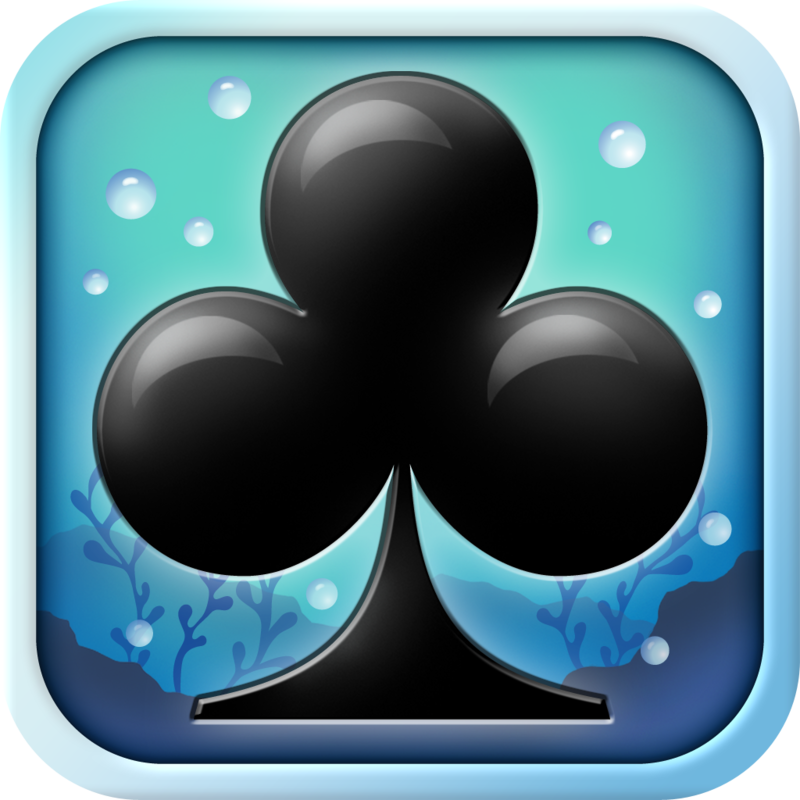 If you love any game that has you racking up as many points as you can in a matter of 60 seconds (think Bejeweled Blitz and Solitaire Blitz), then you will be a fan of this one. 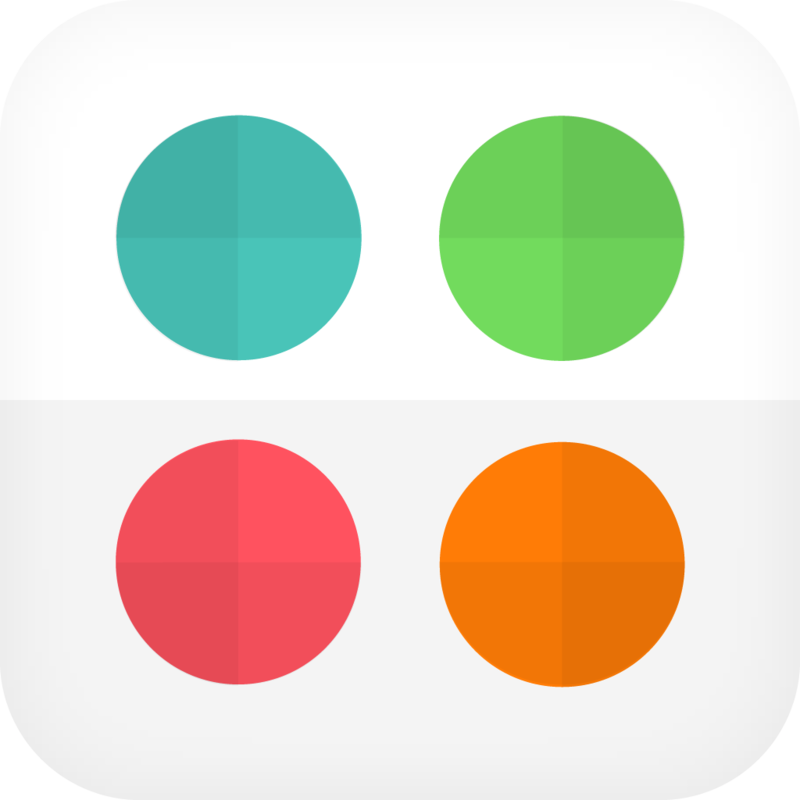 Dots is a simple game, and it has a minimal, flat interface design to go with it. 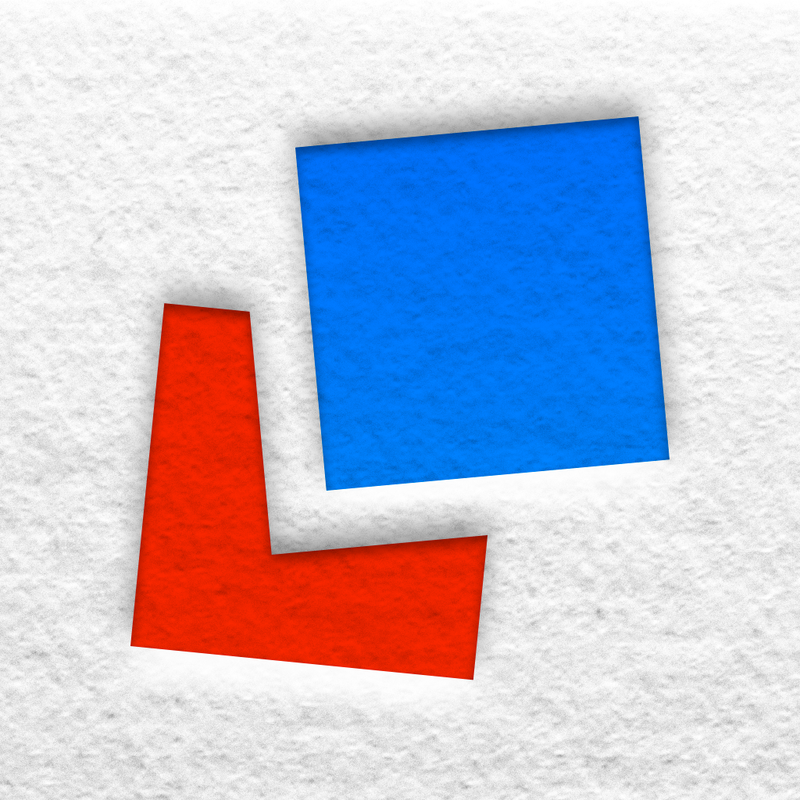 It kind of reminds me a bit of Letterpress, though it has a bit of depth, since shadows exist on various elements. Typography is also elegant in Dots, which I liked. There isn’t much music, but there are a few sound effects that aren’t too obnoxious, so it doesn’t get annoying. 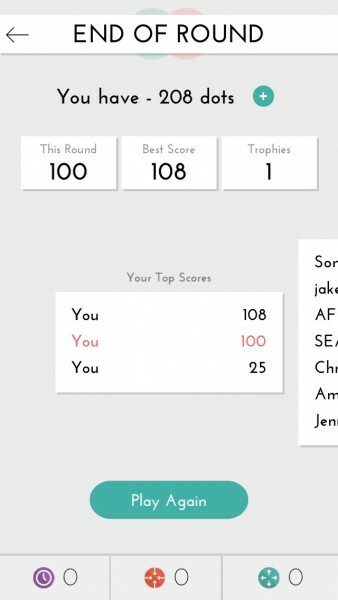 There’s only one game mode in Dots, but that’s all you need. Once you start playing, you will have 60 seconds — no more, no less. That is, unless you purchase the time stops power-up, but more on that in a bit. 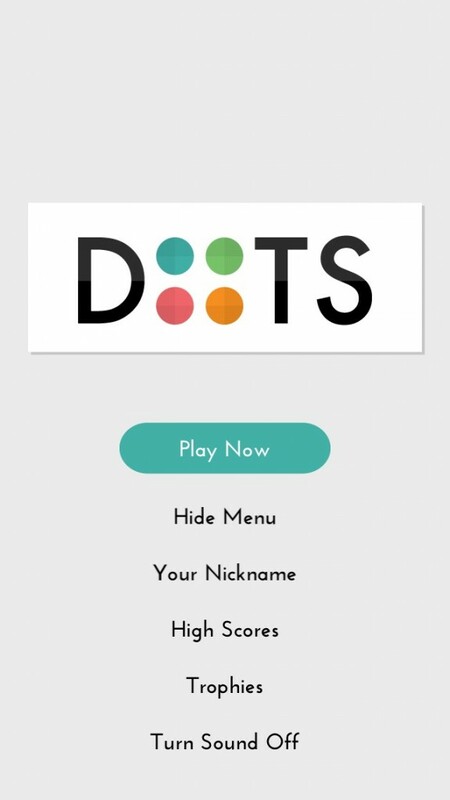 To earn points, all you have to do is connect the dots in lines of at least two or more of the same-colored dot. However, these lines can only be horizontal and vertical, so you can’t connect dots diagonally. This may seem annoying, but it’s the challenging part of the game. At the end of the round, your score is determined by the number of dots that you’ve managed to connect. For each connected dot, you will earn one point. 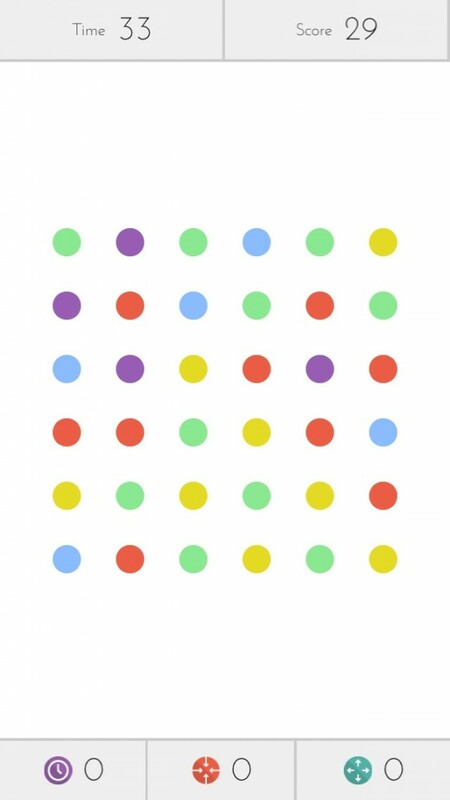 As you’d imagine, it can be quite challenging to get a high score, as you will have to work frantically to connect as many dots as you can within a minute. 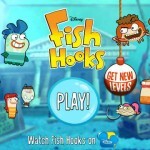 This gameplay is simple, yet challenging, and definitely has that “just one more” feeling behind it. 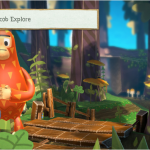 Additionally, each dot that you collect will also serve as the game’s currency. 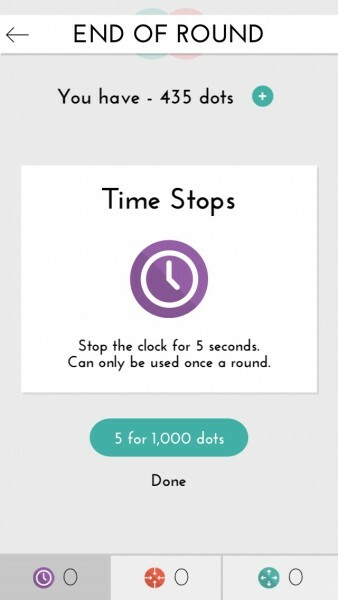 You can spend these dots on three different power-up items: Time Stops (five for 1,000 dots), Shrinkers (10 for 500 dots), and Expanders (five for 5,000 dots). The Time Stops will stop the clock for five seconds, and can only be used once per round. Shrinkers will shrink a dot off of the game board, so you can line up more dots of one color. Expanders are the best (hence why they’re so expensive), since they will expand a dot and remove all dots of that color from the board. 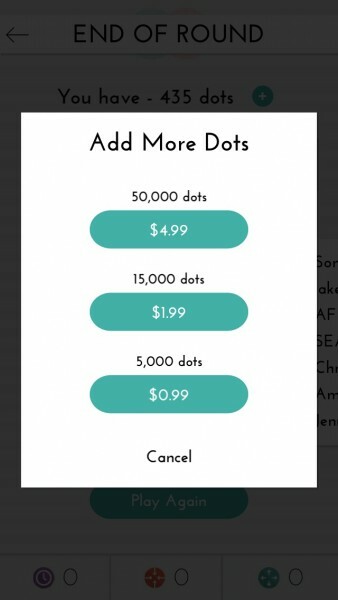 If you want power-ups, but are low on dots, you can buy more through in-app purchases. Unfortunately, there is no Game Center integration for leaderboards or achievements, but the game does have global leaderboards in the game. You can customize your name as well, just in case you end up on the top of the charts. 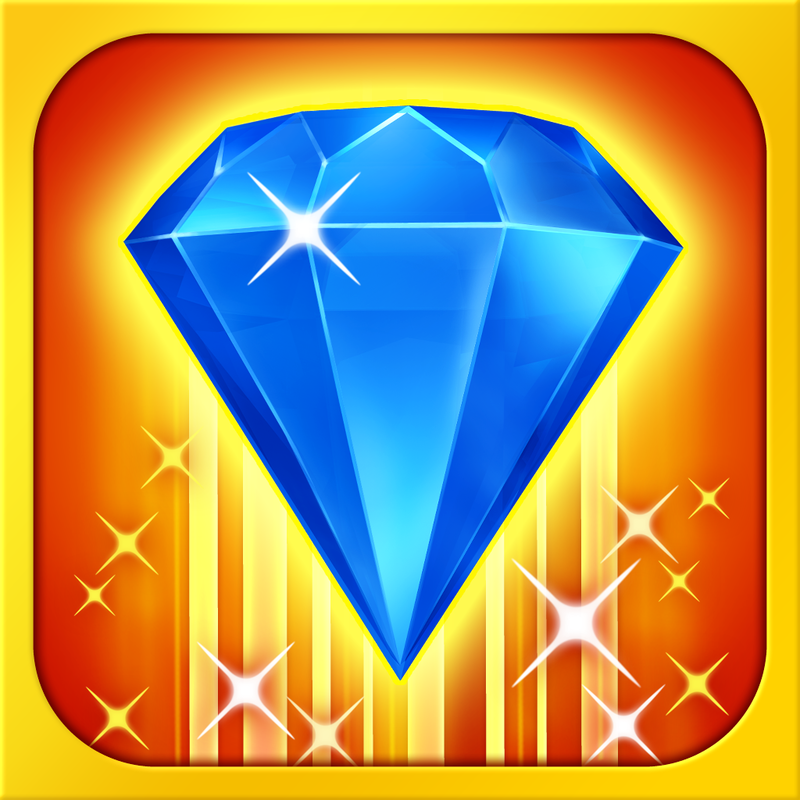 There are also in-house trophies that you can earn, though I wish they were Game Center achievements, but not a big deal. 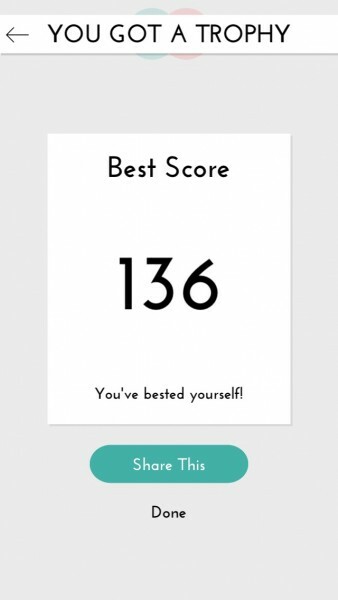 Dots also features seamless Facebook and Twitter integration as well, in case you want to share your high scores with friends. This is a simple pick-up-and-play game that will definitely kill some time. It’s incredibly simple, but difficult to master, and will have you thinking, “I can do better, just one more game” over and over again. 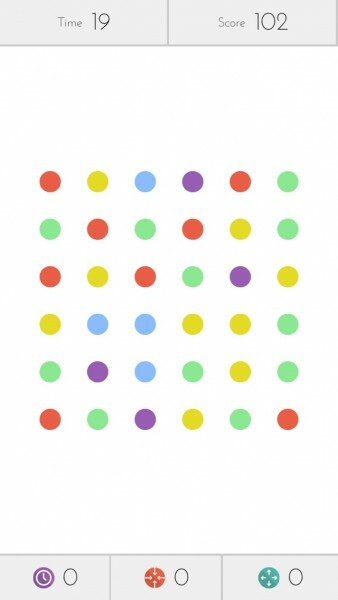 Once you get going on it, Dots will be hard to put down. 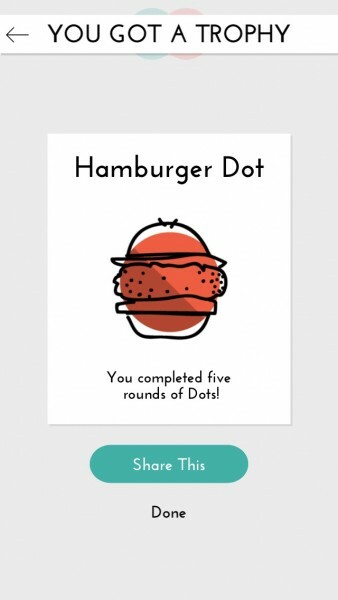 You can get Dots for free for your iPhone in the App Store.